The pilot reported that, during an agricultural application flight, the right wing struck a power line pole and the airplane impacted terrain. The airplane sustained substantial damage to both wings, fuselage, and empennage. A plane crashed into a field after striking a power line in rural Logan County 10 miles southwest of the city of Napoleon. 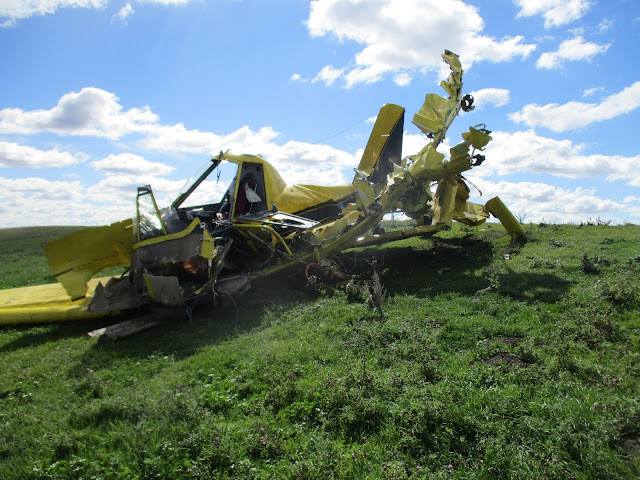 A crop sprayer flown by an employee of Mattern Spray Service crashed when the right wing struck the top of a power pole. The plane lost control and crashed into a field on a nearby farmstead. The wreckage was scattered throughout a quarter-mile area. The National Transportation Safety Board released the wreckage to the owner and cleared KEM Electric to begin power line repair. 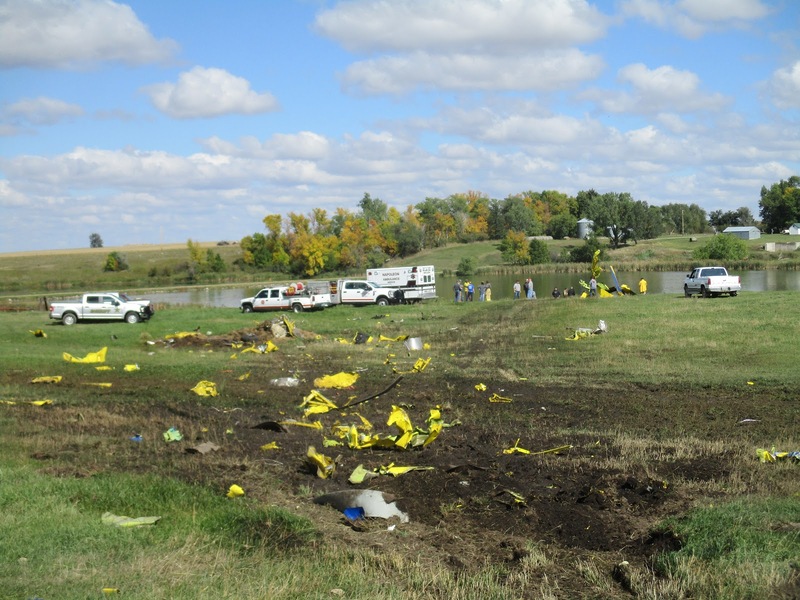 The North Dakota Department of Health is investigating the crash as it resulted in the release of jet fuel into the environment. The pilot was airlifted to Sanford Medical Center in Bismarck. His condition is not available. LOGAN COUNTY, N.D. - A man was airlifted to a hospital in Bismarck after a plane crash in Logan County Friday afternoon. The age of the man flying the plane is not being released yet, and his condition is unknown at this time. 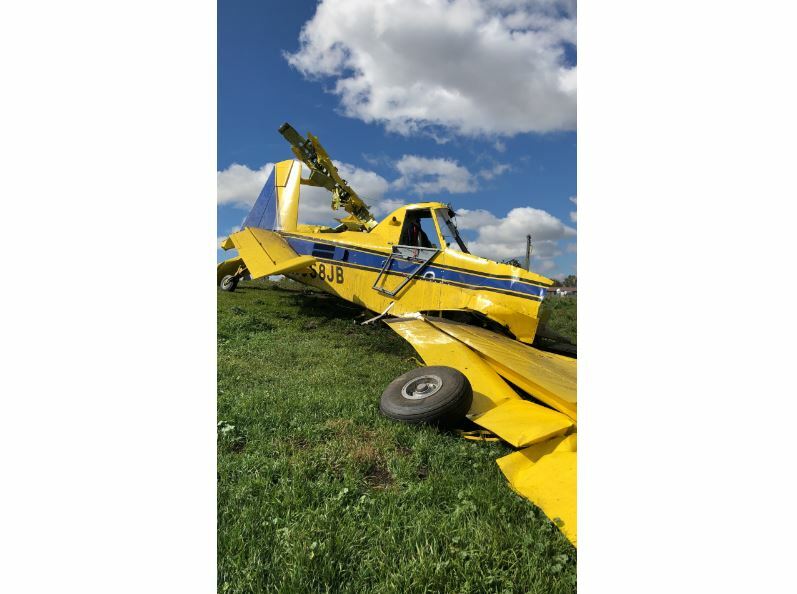 The Logan County Emergency Manager Daniel Schwartz says a crop duster flown by an employee of Mattern Spray Service crashed when the right wing struck a power line 10 miles southwest of Napoleon. Schwartz says if the plane wouldn’t have stopped it could have entered a slough. He says the plane veered away from potentially hitting a house. The North Dakota Department of Health is investigating the crash because it released jet fuel into the environment.